It’s June, which means the building season is in full swing. Perhaps nowhere is that more evident than in our founder Millard Fuller’s hometown of Lanett, Alabama, site of the first-ever Lind-A Hand Build — Linda Fuller’s Build for Women. I was there yesterday, and they may very well be setting the standard for all house builds. So, men, you’re on notice! Our partners in Sri Lanka dedicated their 100th house. Click here to see a gallery of photos. Hardware Retailing magazine published this article about the North American Retail Hardware Association’s support of our Bicycle Adventure’s build days during their summer ride. Continuing an annual tradition, the U.S. Embassy in Armenia teamed up with The Fuller Center there to help a family in need. Click here to learn more. KSLA-TV reports on an effort to build two new "Katy Build" houses in Bossier City, Louisiana. This latest project combines the efforts of The Fuller Center and several churches to honor teenage girls who were killed in a 2006 car crash. He didn’t win the Indy 500, but Bryan Clauson won our support as his Jonathan Byrd’s Racing car bore the logo of The Fuller Center during one of the greatest spectacles in sports. Jonathan Byrd has seen the difference The Fuller Center has made in Indianapolis and has been a long-time supporter of our work. Learn more here. The Rev. Joan MacPherson wrote an editorial piece about the impact volunteering with The Fuller Center has had on her church in Massachusetts. Click here to read it. We got an update from President David Snell and Director of International Field Operations Ryan Iafigliola about our efforts to help Nepal. It includes a video of Ryan discussing plans. Click here for the report. Our new covenant partner in Clark County, Ohio, was featured in a newspaper article and talked about why they switched from being a Habitat affiliate to a Fuller Center covenant partner. Click here for the story. 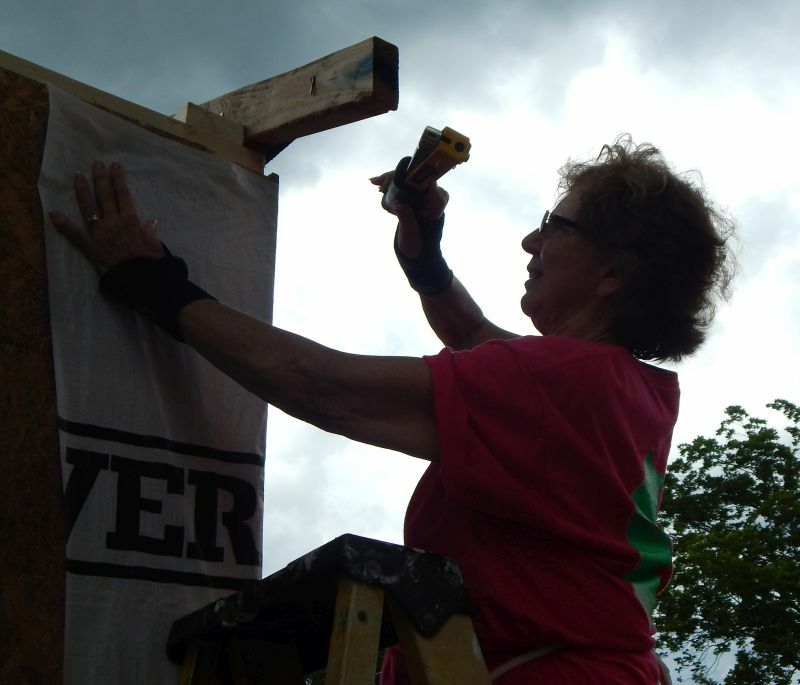 Our covenant partner in Carroll County, Virginia, was featured in this local newspaper article about working with volunteers in the community to assemble wall packages generously provided by our friends at CrossRoads Missions. Here’s an unexpected piece we came across in Chattanooga, Tennessee — a newspaper obituary that prominently features Millard Fuller as it talks about how Millard’s vision and passion changed one man’s life. A team of alumni from North Carolina State University sent back great photos from their Global Builders trip to work with our thriving partner in Nicaragua. Click here to see. Our latest "1 Question" videos feature this one with David Snell talking about how The Fuller Center helps enhance the faith of a church congregation and this one with me talking about how The Fuller Center brings so many different people together because of one simple reason — no one is against helping people help themselves. Speaking of me, :), I got some nice pictures from a work day with the new Perry Georgia Fuller Center for Housing from its 5th Greater Blessing project. Actually, it was a family affair for me as I worked alongside my wife (who will be joining us on the "10 Years, 10 Homes" build in Nicaragua in November) and my dad along with volunteers recruited by the disabled homeowner. We also got a $6,000 grant from a local charitable thrift store, Samaritan’s Closet. The owners are truly impressed with our Christian mission and principles of partnership. We’re now up to 7 Greater Blessing projects completed with more on the way. Of course, this is just a small portion of some of what’s been going on with The Fuller Center in the past month. Always stay up to date at Facebook.com/FullerCenter.